After two months of patiently wandering around the world of Steam Greenlight, Castle Invasion found the exit door and has been Greenlit. Hooray! A huge thanks to everyone that voted yes. If you voted no I’m not angry, just disappointed (which we all know is much worse). These figures are less than some previous greenlit games, nevertheless I am immensely happy to have caused 794 people to react to Castle Invasion with 365 showing an active interest in wanting to play. 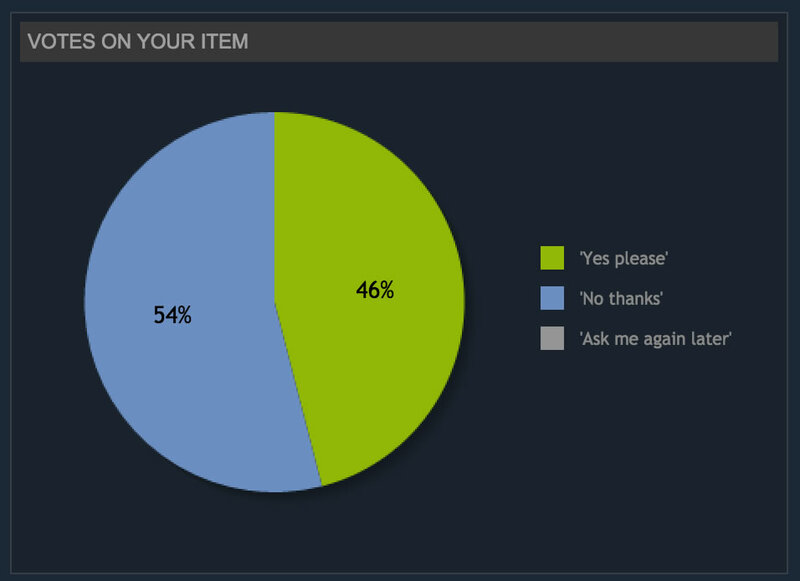 Yes:No (46:54) votes is a proportion I’m fairly content with given that Castle Invasions simplistic game play may not resonate with all corners of the Steam user base. Here’s where I think a professional trailer, silly description and abundance of gifs helped project the character and quality of Castle Invasion converting some unknown visitors to yes votes. Moving forward, the next step is Steam integration. I hope you’ll enjoy playing for the Steam Achievements. If you do, you could say it is Steam inter-GREAT-ion….I am so sorry for that joke. Castle Invasion will drop on Steam (PC and OS X) within the next couple of months. More precision on this release date soon.